Yeah, NSS. As if Berkeley would ever say “no” to some grass. In the event of federal interference with dispensaries, Berkeley City Council urges opposition to and noncooperation with the Drug Enforcement Administration’s marijuana raids. 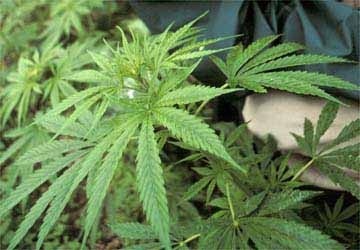 Proposition 215, which passed in 1996, legalizes marijuana usage for medicinal purposes in California. The proposition had overwhelming local support, with 85 percent of Berkeley voters approving the measure, Councilmember Darryl Moore said. Federal law, however, states that any use, cultivation or distribution of marijuana is a federal violation. All joking aside, medical marijuana can be a great way to relieve pain and ensure the comfort of a patient. Why the wisecracks then? It’s just so Berkeley (1) that the city would directly oppose the federal state and (2) that the issue of contention would be marijuana. “If any dispensaries close, we won’t have to go to the local corner drug dealer to get medicine,” (said Angel Raich, an Oakland resident and medicinal marijuana proponent). Let the students have at the dealers. Berkeleyites, well, they’ll always have their dispensaries.